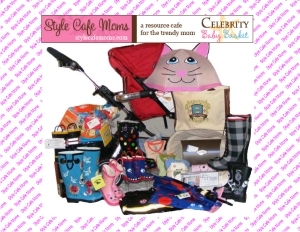 Style Cafe Moms offers many different PR opportunities and their baskets are available for awards ceremonies and celebrity gift bags/goodie bags. Copyright 2007 ~ Twin-Pregnancy-And-Beyond.com ~ All Rights Reserved Information on this site is not intended as actual medical advice. Please consult with a physician or other healthcare professional with health questions and/or concerns.